A great gift for any foodie. 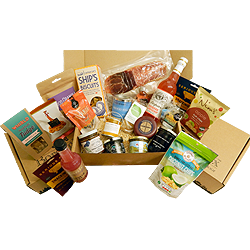 Give them a one-month subscription to the Journey Through BoroughBox Food Discovery club. The box will be co-curated by a nutritionist and a former market trader, to give a perfect combination of great tasting and nutritious food. Click here for a PDF gift certificate for you to give to your lucky recipient.